The Nagaraja Temple is located in the town of Nagercoil on mountain Mahendragiri in Kanyakumari District in the state of Tamil Nadu. 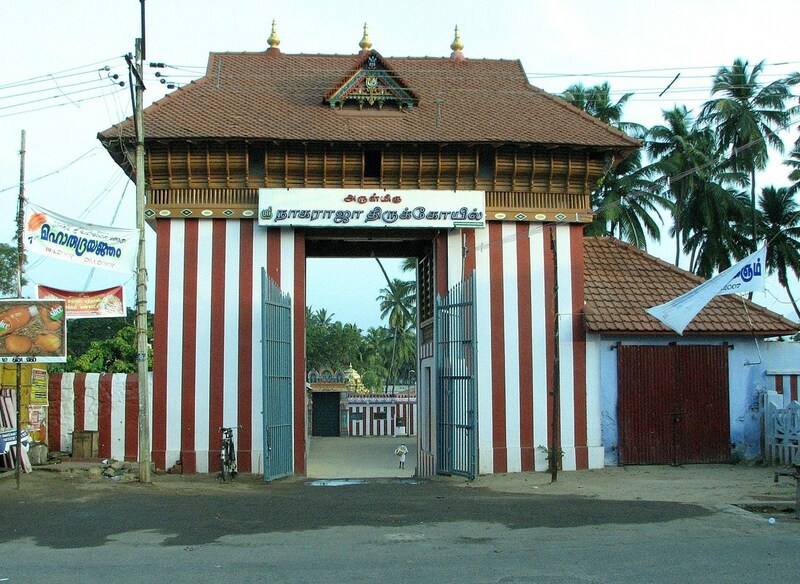 Nagercoil which is the name of the town was coined from the name of the temple, Nagaraja. Nagaraja (king of serpents – Vasuki) and Ananda Krishna are the temple’s main deities but there are other deities being worshipped in the temple. The temple has a huge pond. Devotees pray in the temple and seek solace from the unfavorable aspects of serpent planets. They offer turmeric powder, offer milk and sanctify Naga idols in the temple as a part of their prayers. Subrahmanya Swami, Dwarapalaka, Shiva, Devi, and Ganesha are the upadevathas of the Nagaraja Temple. As an ancient custom, the priests are Namboothiri Brahmins are assigned by Pambumekkat mana in Thrissur, Kerala. In the temple, there is a shrine for Mother Durga. The idol of Mother Durga was discovered in the sacred spring there. Devotees pray for the relief from unfavorable aspects of Rahu and/or Rahu-Kethu planets in the Mother Durga shrine. The precise age of the Nagaraja temple is very hard to ascertain but findings have shown that temple is in the range of 1000-2000 years old. The origin of the Nagaraja temple according to the traditional background tells a tale of a day when a woman was working in the field, cutting paddy crops, she noticed blood dripping from a bunch. She found out that her sickle had slit into a five-headed serpent. Stricken with fear, the woman ran to the nearest village and narrated her experience to the people. The people followed her to the place to witness the miracle. They were amazed at what they saw. They discovered that it was a Nagaraja idol. They cleared and built a small shrine around the Nagaraja to preserve it for worship. People from other places also visited and worshipped at the shrine on hearing the miraculous discovery. King Marthanda Varma of Kerala was suffering from leprosy and went to the Nagaraja temple on Sunday to worship. He was cured of his disease miraculously. He then built a big temple in appreciation. Since then, numerous devotees visit the temple for worship every Sunday during Aavani. A temple is a perfect place of prayer for devotees who are seeking relief from unfavorable aspects of serpent planets. Devotees pray to Nagaraja by consecrating Naga idols, offering milk porridge, and turmeric powder in the temple. The Thai Brahmmotsayam festival celebrated between the months of January and February. The Aavani Sundays, Aavani Aslesha star day also known as Aayilyam and Krishna Jayanthi festivals are all celebrated between the months of August and September. The Tirukarthikai festival always celebrated between the months of November and December. The Nagajara temple is always open to worshippers and devotees from 4:00 am to 11:30 am and from 5:00 pm to 8:30 pm.